Lord Howe Island is known for beaches, trails, nature, wildlife, and museums. 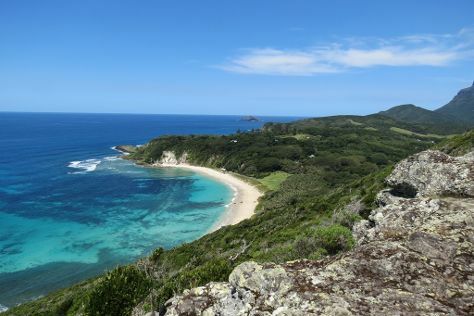 Your plan includes some of its best attractions: kick back and relax at Ned's Beach, learn more about the world around you at Lord Howe Island Museum, trek along Lord Howe Island Walking Trails, and take in the dramatic natural features at Ball's Pyramid. To find where to stay, traveler tips, other places to visit, and more tourist information, read Lord Howe Island trip planner . You'll set off for home on the 30th (Fri).